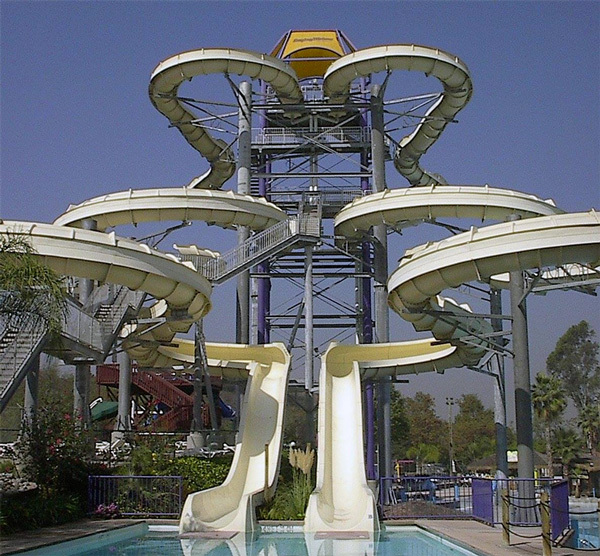 Stretching over 50 acres of land and sporting 36 slides and attractions, Raging Waters in Los Angeles is the largest water park in California. Highlights of the park include Dragon's Den, a tube ride that sends guests circling around a 35-foot bowl watched over by a mist-breathing dragon, Dropout, a seven-story vertical drop slide, High Extreme, a massive two-person tube ride, Neptune's Fury, a four-person raft ride with a 60-foot drop through the dark, and Thunder Rapids, a large family raft ride. You’re not afraid of the dark… are you ??? 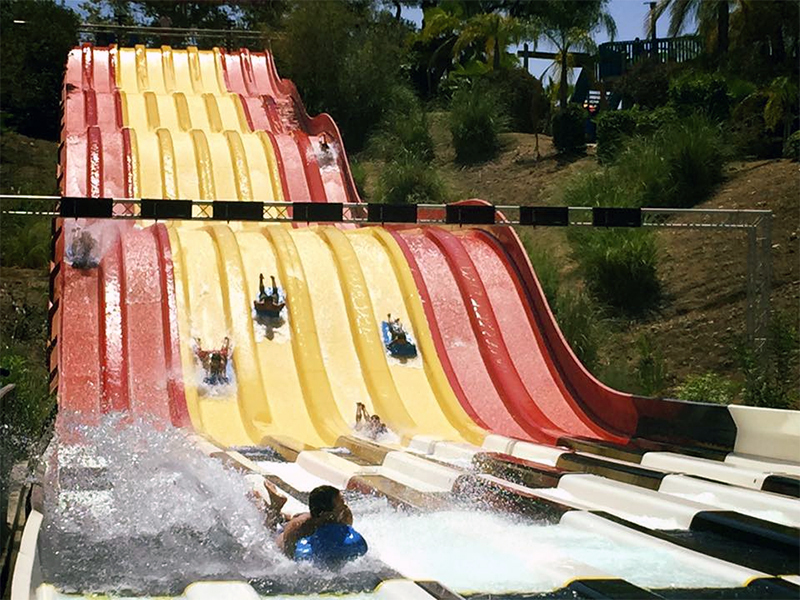 Raging Waters Los Angeles has unveiled one of its biggest and best attractions yet… DR. VON DARK’S TUNNEL OF TERROR! DR. VON DARK’S TUNNEL OF TERROR features a breathtaking 40-foot drop, back-to-back vertical banks and a pair of hi-speed 360 spins, all against a backdrop of TOTAL DARKNESS - with a few unexpected visual effects thrown in, courtesy of the diabolical Dr. Von Dark! 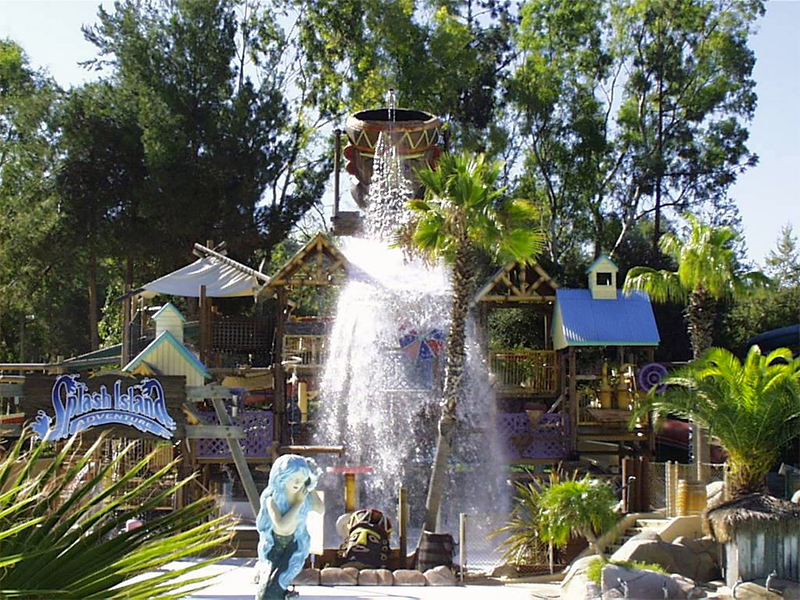 For younger guests, Raging Waters features a variety of kiddie attractions including Splash Island Adventure, an interactive play area, Volcano Fantasea, a collection of small slides, and Kid's Kingdom, a large water playground. 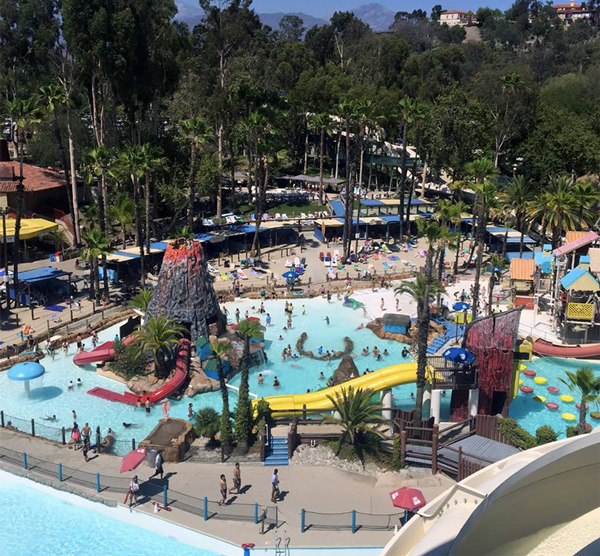 Raging Waters Los Angeles opens for the 2019 season on Saturday, May 18. General Admission (36” and taller) on any one regular operating day during the 2019 season. Operating dates & hours are subject to change without notice. San Dimas, CA.